We’ve seem him do it a number of times over the years, and today we pay homage to the great leaps of Steelers safety Troy Polamalu, who has it seems perfected the trend of guessing the count and making the QB (or eventually a kicker) pay when the ball is snapped. 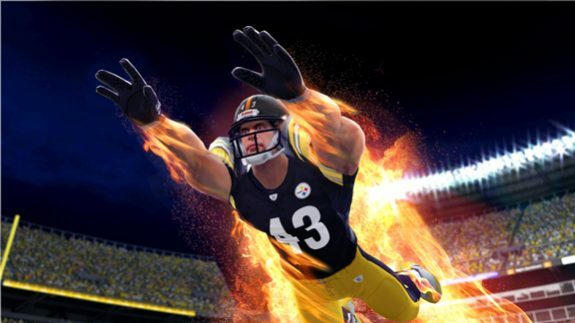 Sit back and enjoy the many leaps of #43! 1. Polamalu stops Kerry Collins during a 2010 win in Tennessee over the Titans. 3. Polamalu attempts to block an extra point against the Ravens in a 19-16 win. 4. Opening Day against the Titans 2013 Polamalu stops Jake Locker in a loss to the Titans. 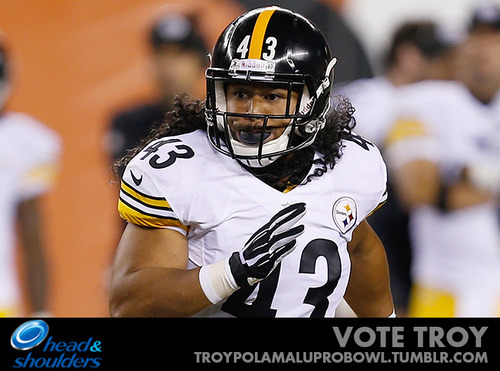 Be the first to comment on "The Many Leaps Of Steelers Troy Polamalu"